Augsburg - FC Augsburg and 1. FSV Mainz 05 face a pivotal game in their respective seasons at the SGL Arena on Sunday (kick-off 15:30 CET) with their fortunes able to go one way or another. The season is still young and the league table tight. Augsburg have just ten points on the board, but could move within sight of the top six if they win, while Mainz can climb even higher with a victory. Defeat, on the other hand, could raise the spectre of a prolonged relegation battle for either. Nevertheless, a look at the teams Augsburg have faced in those five games puts those results into a degree of perspective. “We’ve only got one point against five ambitious and very strong opponents,” added Weinzierl, referring to Hannover 96, Borussia Mönchengladbach, FC Schalke 04, VfL Wolfsburg and Bayer 04 Leverkusen. is back from suspension while is an option again after injury, but the form of full-back suggests he will keep his place in the starting XI, where he will come up against Japanese international Shinji Okazaki, who has begun to settle since his summer transfer from Stuttgart. 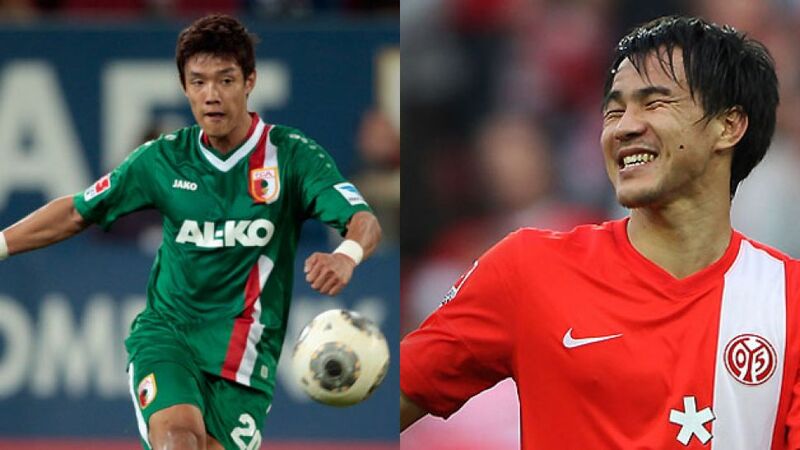 After scoring on his Mainz debut against his former club, Okazaki struggled for form - until last weekend. He grabbed his first brace in 72 German top-flight appearances to rouse his team from their own recent slumber and end a six-game winless streak with a 2-0 triumph over Eintracht Braunschweig. “Nobody will begrudge him that,” said his coach Thomas Tuchel as Okazaki led the post-match ‘Humba’ celebrations in the Carnival city. Whether Mainz will be dancing to the Japanese international's tune on Sunday will depend on the start they make, according to coach Thomas Tuchel, who hopes his side’s voice will not be stifled early on by an Augsburg team who “can really develop some power, especially at the start of games.” Tuchel added: “It’s no wonder they often go ahead. They have a very loud stadium with a very partisan crowd, and that’s a compliment.” Still, if Okazaki can turn it on again, the only noise at 17:15 on Sunday will be another Mainz Humba.